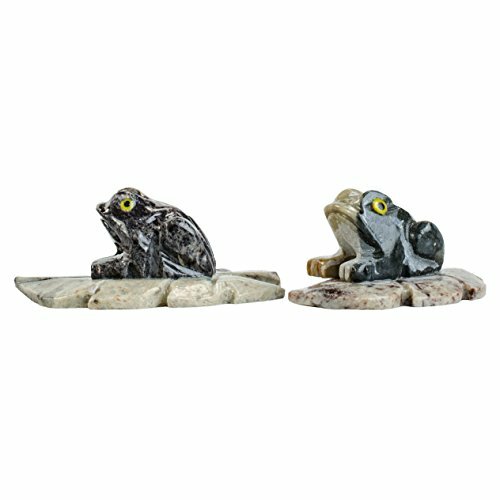 Digging Dolls : 10 pcs Artisan Frog Collectable Animal Figurine - Party Favors, Stocking Stuffers, Gifts, Collecting and More! Digging Dolls : 30 pcs Artisan Elephant Collectable Animal Figurine - Party Favors, Stocking Stuffers, Gifts, Collecting and More! Digging Dolls : 10 pcs Artisan Squirrel Collectable Animal Figurine - Party Favors, Stocking Stuffers, Gifts, Collecting and More! Digging Dolls : 10 pcs Artisan Owl Collectable Animal Figurine - Party Favors, Stocking Stuffers, Gifts, Collecting and More! Digging Dolls : 10 pcs Artisan Piranha Collectable Animal Figurine - Party Favors, Stocking Stuffers, Gifts, Collecting and More! Digging Dolls : 30 pcs Artisan Cobra Collectable Animal Figurine - Party Favors, Stocking Stuffers, Gifts, Collecting and More! Digging Dolls : 10 pcs Artisan Dog Collectable Animal Figurine - Style 2 - Party Favors, Stocking Stuffers, Gifts, Collecting and More! Digging Dolls : 30 pcs Artisan Dog Collectable Animal Figurine - Style 1 - Party Favors, Stocking Stuffers, Gifts, Collecting and More! Digging Dolls : 30 pcs Artisan Eagle Collectable Animal Figurine - Party Favors, Stocking Stuffers, Gifts, Collecting and More!